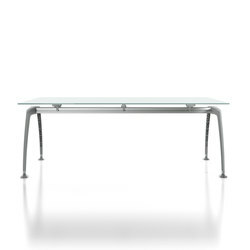 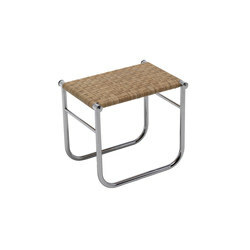 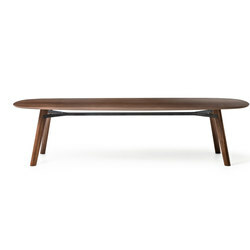 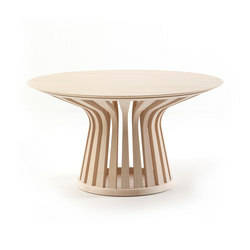 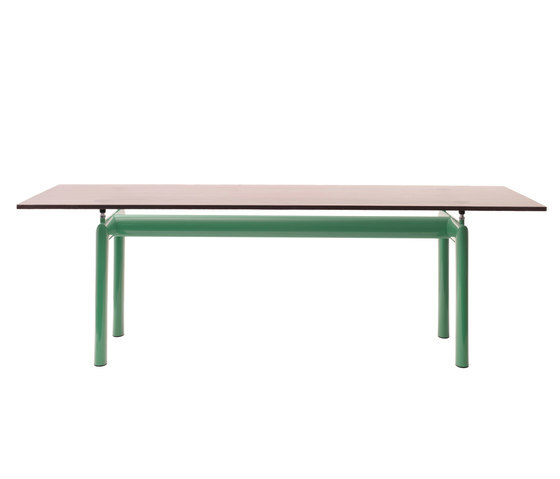 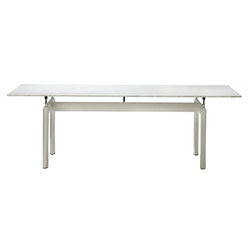 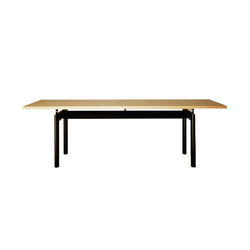 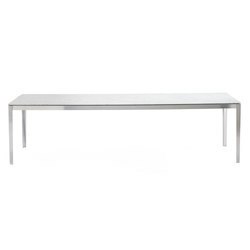 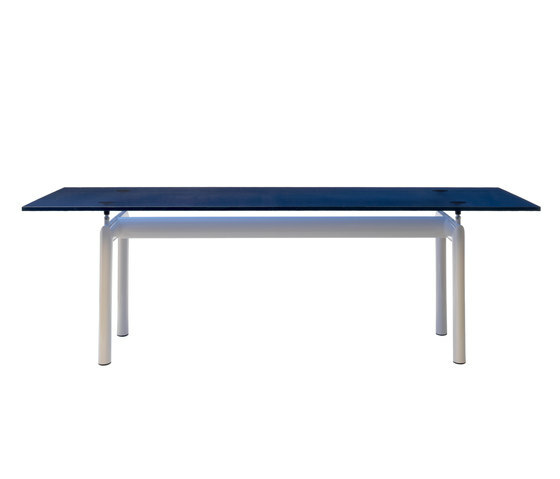 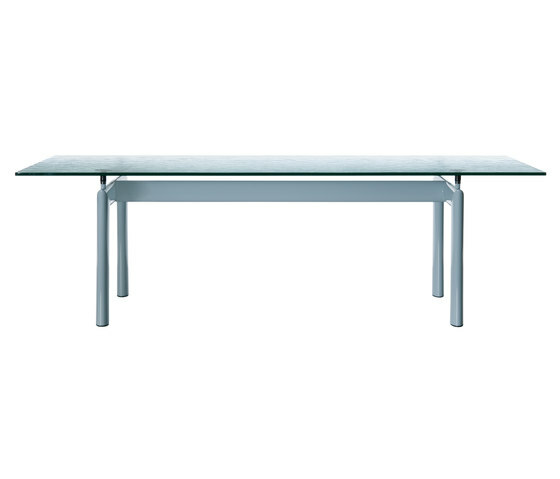 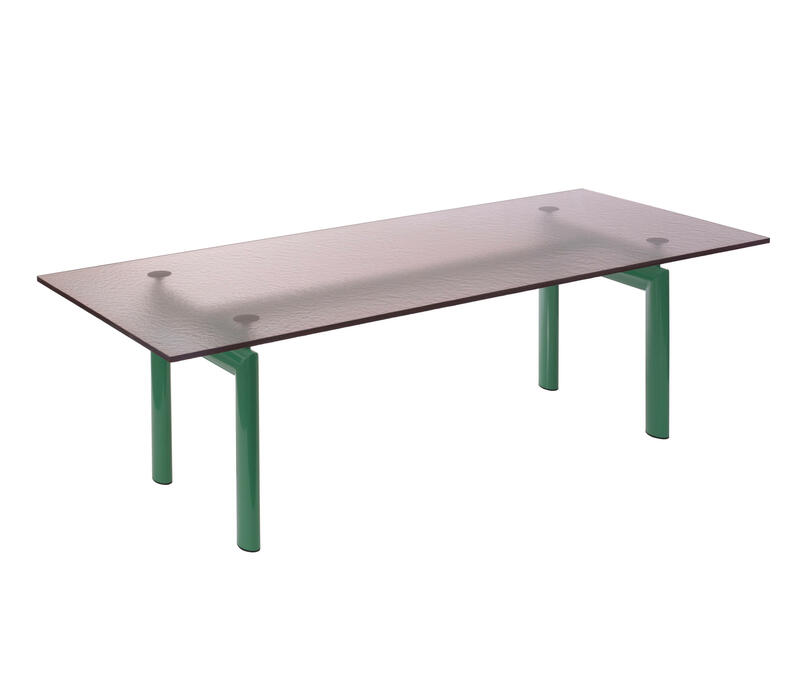 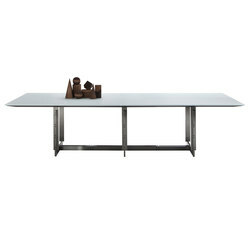 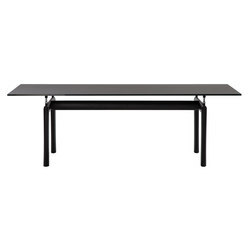 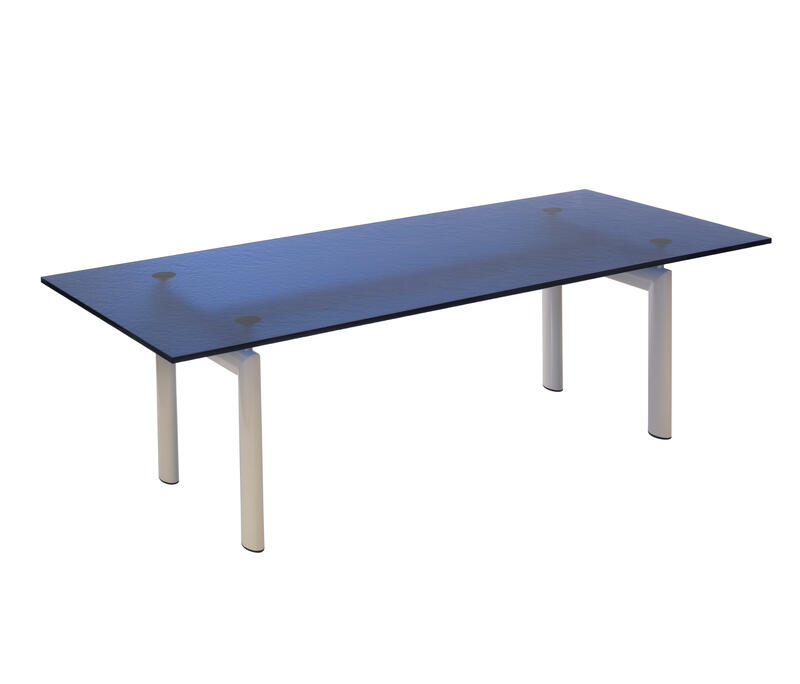 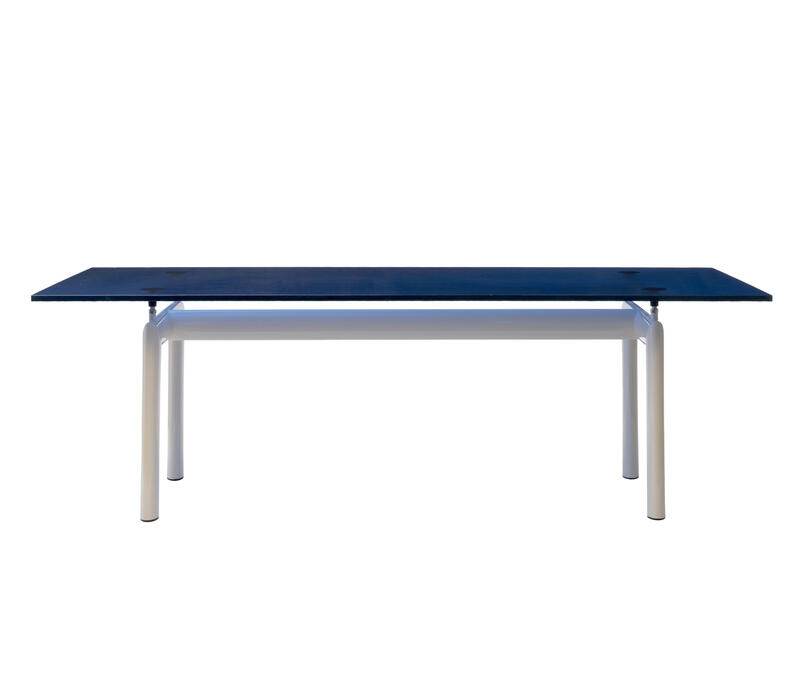 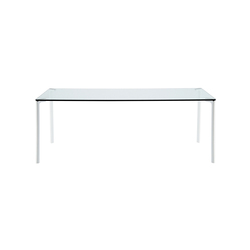 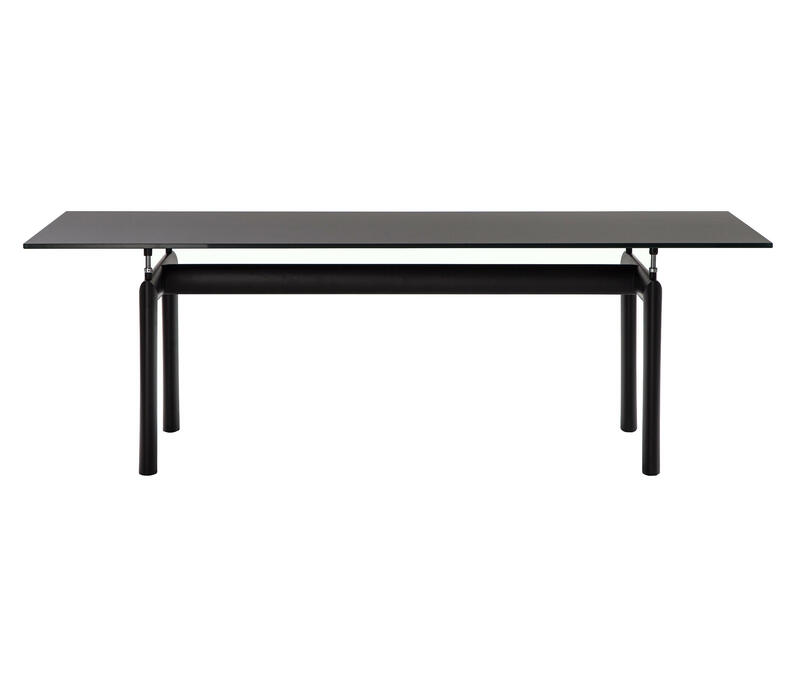 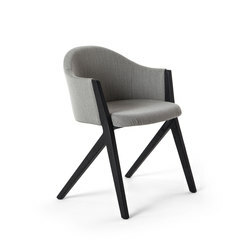 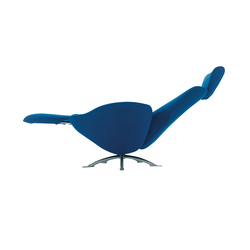 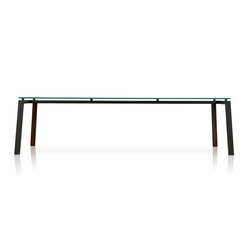 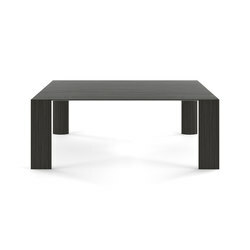 Table with mat black, light blue, or bicoloured (black legs, grey cross-bar) enamelled steel base. 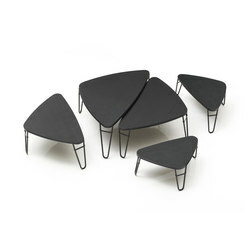 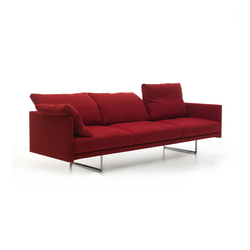 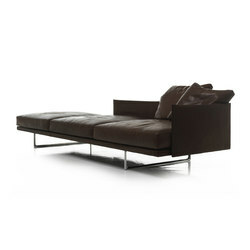 Base has four supporting points with steel threaded shanks, permitting height adjustement up to 50 mm. 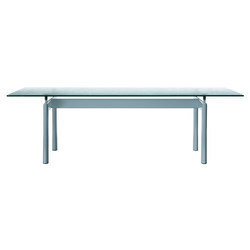 Crystal, textured glass, natural or black stained ash top. 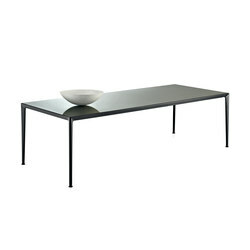 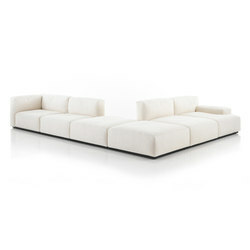 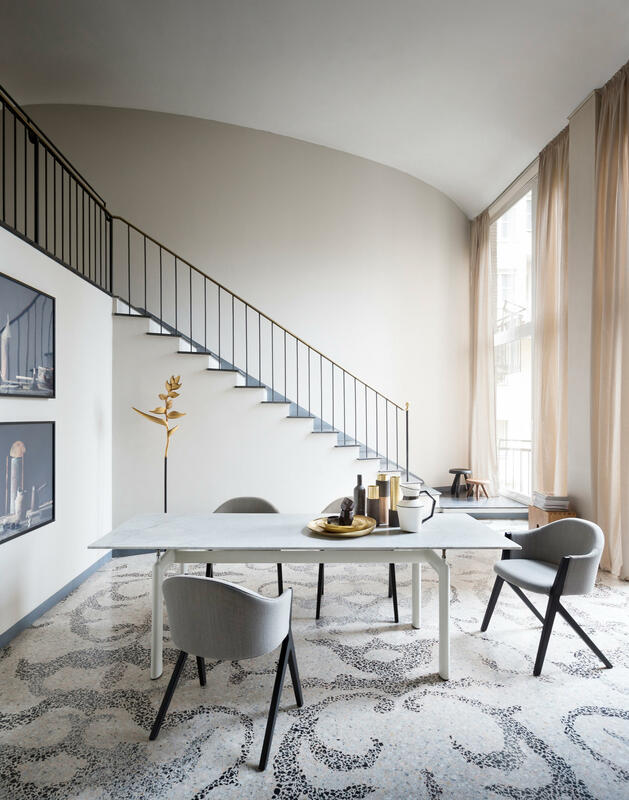 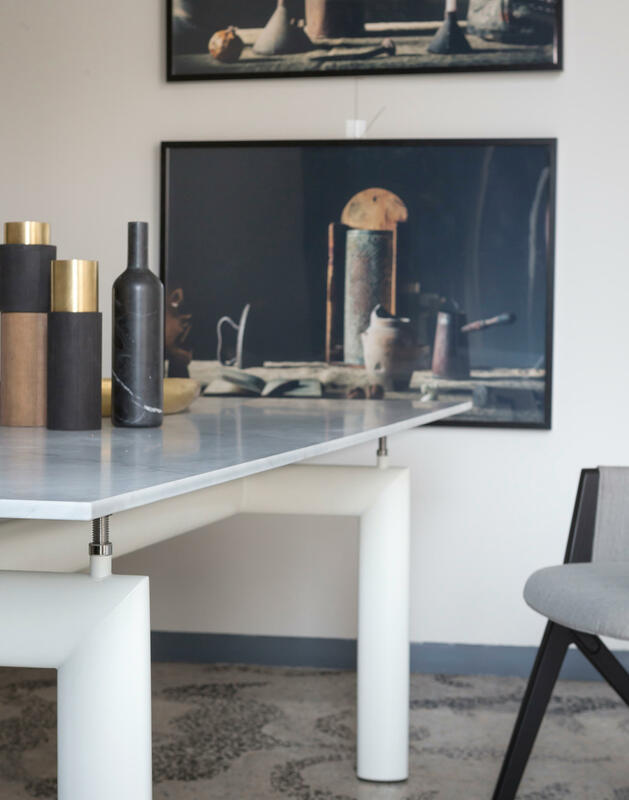 The table top is now available in white Carrara marble combined with a black or ivory frame, or finished in black with the innovative soft touch product and combined with a matching black frame. 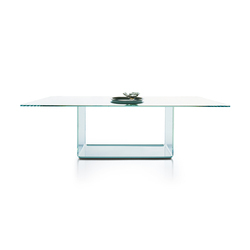 Coupled with the glass this treatment provides both technical and sensory features making the top more resistant and pleasing to the touch. 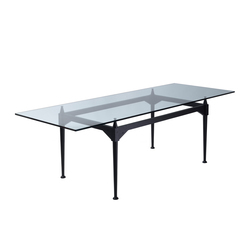 top in extra-light clear glass, thickness 15mm, lacquered black with the application of the soft touch treatment, frame painted black.